Baton Rougeans, this one&apos;s for you. I present to you a 7-day staycation in Baton Rouge, with all the famous landmarks and hidden jewels in the Red Stick. It&apos;s time to explore your backyard, so let&apos;s get to it and #GoBR! Start your staycation off by visiting arguably the most important building in the land - the Louisiana State Capitol. 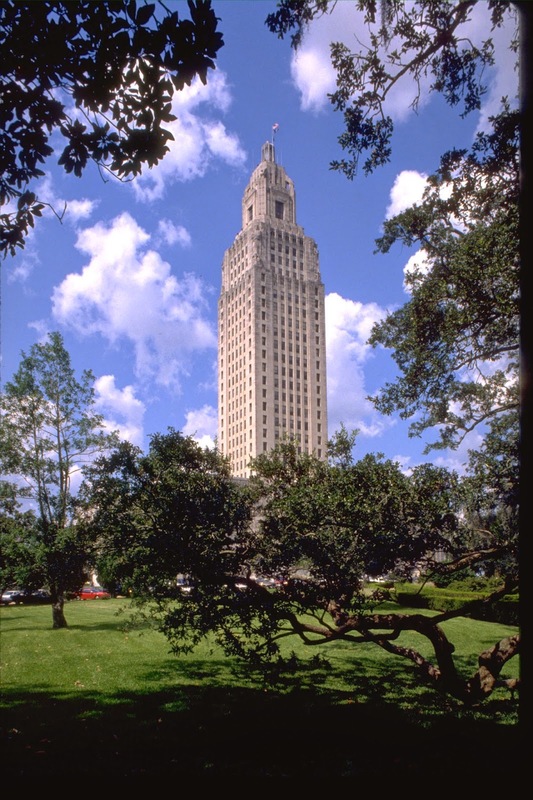 Built during Great Depression under the leadership of Louisiana&apos;s most famous – or infamous, depending on who you talk to – Governor Huey P. Long, the Louisiana State Capitol stands majestically over Baton Rouge at 450 feet and 34 stories tall. It is, in fact, the tallest state capitol in the U.S. Climb the steps to the grand entrance, and you will find a step for each state, in the order they were admitted into the Union. Once in the expansive Memorial Hall, look down to see a bronze relief map of Louisiana on the floor, and look up to see two large bronze chandeliers, each weighing two tons, hanging from the ceiling. The walls feature floor-to-ceiling murals depicting Louisiana&apos;s agriculture and industries, and the eleven flags that once flew over the state are hanging in Memorial Hall. To the right and left are the House and Senate Chambers, where Louisiana&apos;s laws are born. After exploring the first floor, find the place where Senator Long was assassinated. You can even see the bullet holes still in the walls. Later, you can pay your respects to the Kingfish at his grave on the Capitol grounds. But don&apos;t leave the State Capitol until you&apos;ve ridden two elevators up to the observation deck on the 27th floor! Here, you can see Baton Rouge in all her glory for miles and miles. After visiting the Louisiana State Capitol, wander through the grounds in the shade of magnolias and live oaks, and walk to the Capitol Park Museum to learn what Louisiana is all about. Dive into our state&apos;s distinct cultures, and view exhibits on Mardi Gras, fishing, music and politics. Laissez les bons temps rouler! Louisiana State Museum’s Capitol Park Museum location features two permanent exhibits – Grounds for Greatness: Louisiana and the Nation, and Experiencing Louisiana: Discovering the Soul of America. 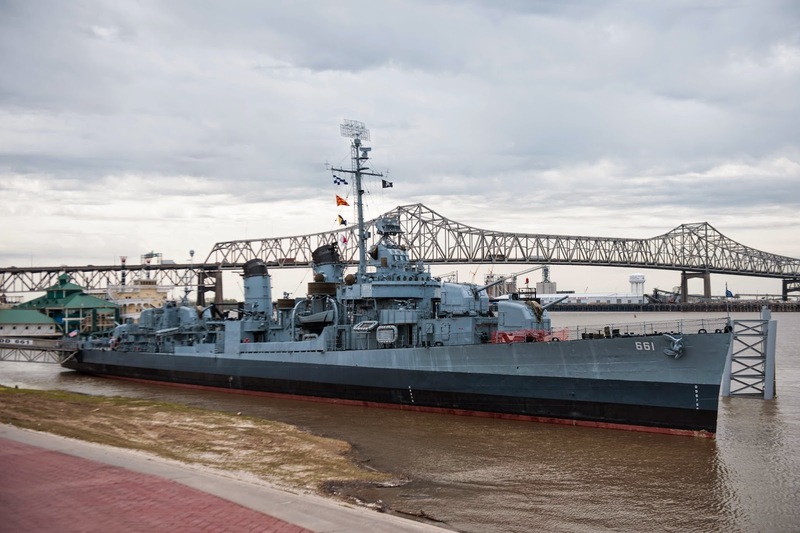 Artifacts in the museum include instruments from Fats Domino and Aaron Neville, a Civil War submarine and a colorful Mardi Gras float. Time to take a break for lunch! Eat a light lunch at one of many downtown restaurants, like Faye&apos;s Subs and Salads or Schlittz & Giggles, or pack a picnic for the Capitol grounds. Now visit another Baton Rouge landmark built by Huey P. Long in 1929. The Old Governor&apos;s Mansion has striking similarities to the White House in Washington, D.C. According to legend, Long wanted the Old Governor’s Mansion designed like the White House since his ultimate ambition was to become U.S. president. The Mansion was home to nine governors and their families. On your tour of the building, you will see a secret staircase, original frieze moldings and crystal chandeliers. The museum features work from governor and songwriter Jimmie Davis and other historical and political artifacts. For your last attraction of the day, walk from the Old Governor&apos;s Mansion down North Boulevard to LSU MOA, located in the Shaw Center for the Arts. The museum features rotating exhibits, and selections from its permanent collection, including 17th-20th century American and British art, pre-Civil War New Orleans silver, and Indian, Japanese and South American historical art. This is sure to be a feast for your eyes! For a nice dinner to wrap up the day, enjoy sushi at Tsunami on the top floor of the Shaw Center (reservations encouraged), or head downstairs to Capital City Grill for Louisiana cuisine. 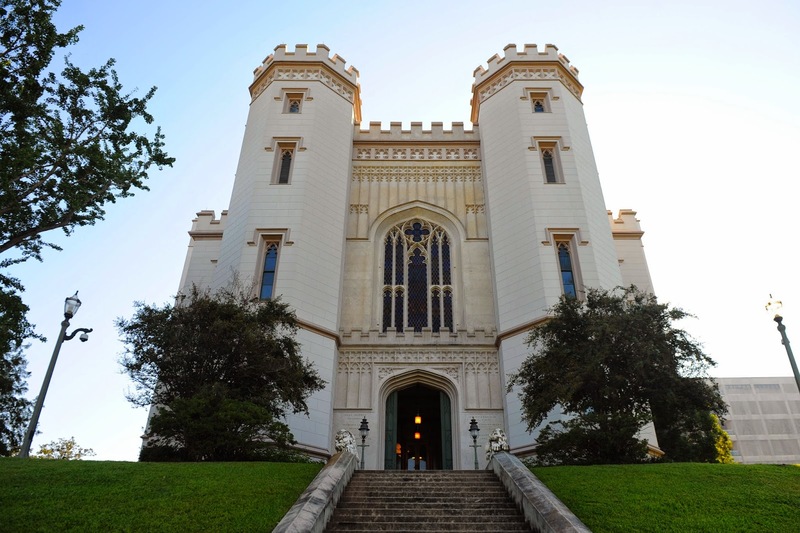 Now that you&apos;ve seen where current Louisiana politics take place, you should visit Louisiana&apos;s Old State Capitol. This beautiful 160-year-old Gothic castle on the river has withstood fire, flood, war and politics. On your self-guided tour of the statehouse, you will marvel at stained glass windows, a breathtaking spiral staircase, and the House and Senate Chambers. The Old State Capitol also houses the Museum of Political History, where you can learn more about Louisiana&apos;s politics. Enjoy a light lunch at one of many downtown restaurants, like Harrington&apos;s Cafe or Freshjunkie, or pack a picnic for North Boulevard Town Square. Come visit your favorite animals at BREC&apos;s Baton Rouge Zoo. 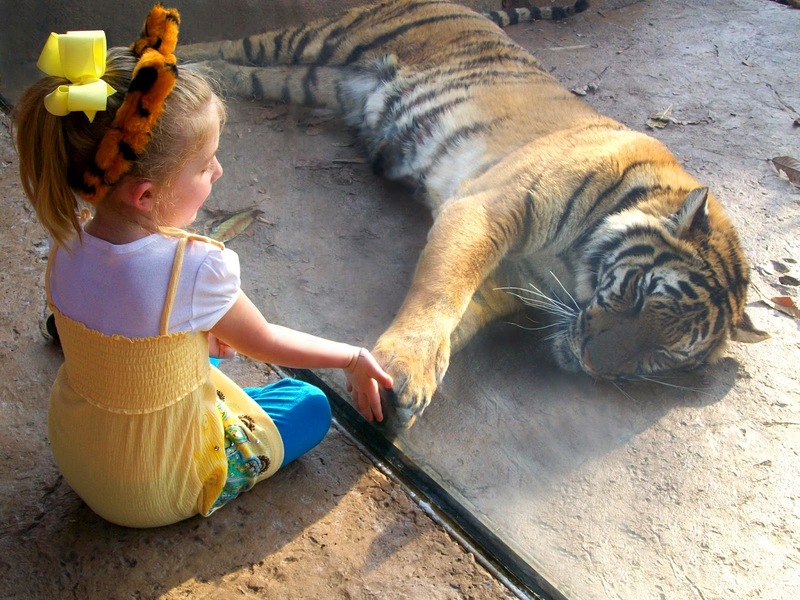 Spend hours at the zoo, where you can find tigers, monkeys, alligators and more. Be sure to swing in L&apos;Aquarium de Louisiane to see native and exotic fish, reptiles and amphibians. Grab a snack at the zoo’s Flamingo Café, or eat at Greenwood Community Park&apos;s Waterfront Café (open Tuesday-Sunday, 9 a.m.-4 p.m.). BREC&apos;s Greenwood Community Park, adjacent to the zoo, is 390 acres of fun. Play a round of golf at the Dumas Golf Course or J.S. Clark Park Golf Course. Or maybe try your hand at the 18-hole disc golf course, or a few matches of tennis! Take the kids to the community playground and splash pad to play and explore. Fish, kayak, or canoe at the lake. 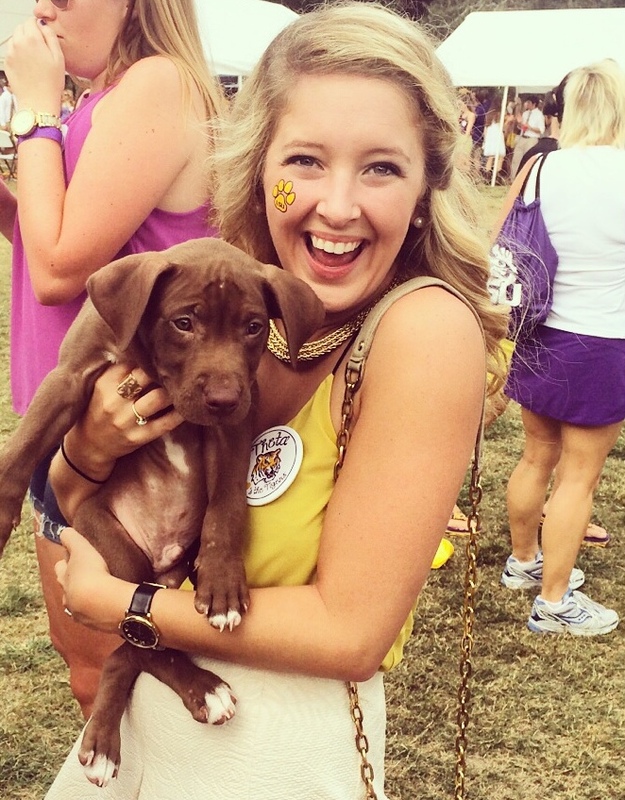 Bring the dog along to make friends at the Raising Cane’s Dog Park. Hike through the ExxonMobil Cypress Bayou Lake Trail for beautiful glimpses of nature. At BREC&apos;s Greenwood Community Park, there are enough options for everyone in the family to enjoy for hours at a time. The Burden Museum and Gardens has three parts: the LSU Rural Life Museum, Windrush Gardens and LSU Agcenter Botanic Gardens. On day 4 of your staycation, you can visit all three. Hidden in the heart of Baton Rouge is the LSU Rural Life Museum and Windrush Gardens. Take a step back in time at the Rural Life Museum, where the museum is divided into three sections: the Exhibit Barn, which features rural artifacts from the early 20th century; the Plantation Quarters, which includes nine early 19th century buildings to replicate daily plantation activities; and the Louisiana Folk Architecture complex, which includes six Louisiana-style buildings to represent the various and distinct cultures found in our state. Leave with an appreciation for our Louisiana ancestors’ lives. Then get lost in Windrush Gardens, which features 25 acres of beautifully landscaped grounds. Eat at one of the many restaurants on Essen Lane, like Times Grill or Zorba&apos;s Greek Bistro, as picnicking is not allowed on Rural Life Museum grounds. This 440-acre tract of land is home to many research projects to better the lives of Louisianans. While at the Botanic Gardens, you can visit four gardens, including the Rose Garden with 150 varieties of roses, the All-America Selections Garden with dozens of Louisiana Super Plants, the Ornamental Ginger Garden, and the Children’s Garden. You can also walk five miles of trails in the Burden Woods, which wanders through the Black Swamp. Finally, stop by the Barton Arboretum with many different species of trees and flowers. Emory Smith donated Hilltop Arboretum&apos;s 14 acres to LSU with the purpose “to provide a sanctuary where students and visitors can learn about natural systems, plants, and landscape design.” And a sanctuary it is! Walk trails through the woods and around a lake to see summer plants in bloom. You can even bring your dog along, so long as he’s on a leash. Picnic on the grounds, or eat at one of the many restaurants between Hilltop Arboretum and your next stop, Magnolia Mound, like Walk On&apos;s Bistreaux & Bar or Mellow Mushroom. 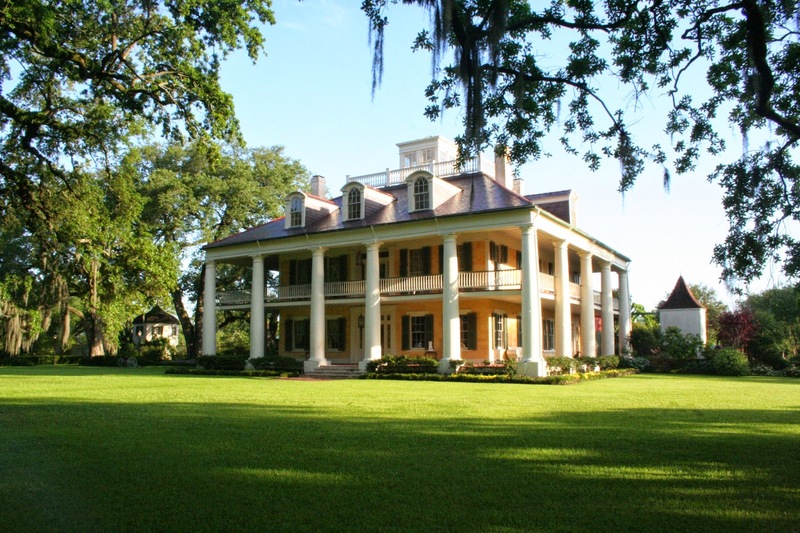 Nestled on Nicholson Drive between LSU and downtown Baton Rouge, Magnolia Mound Plantation was built in 1791 and is home to some of Louisiana&apos;s richest history. 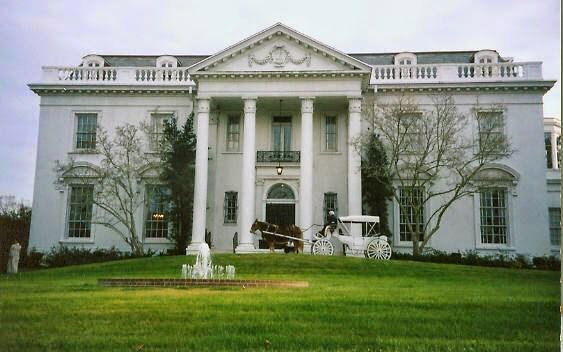 The plantation&apos;s museum includes dozens of French and English furniture and decorations from the early 19th century. You can also tour an open-hearth kitchen, overseer&apos;s house, crop garden, quarter house, pigeonnier and carriage house. 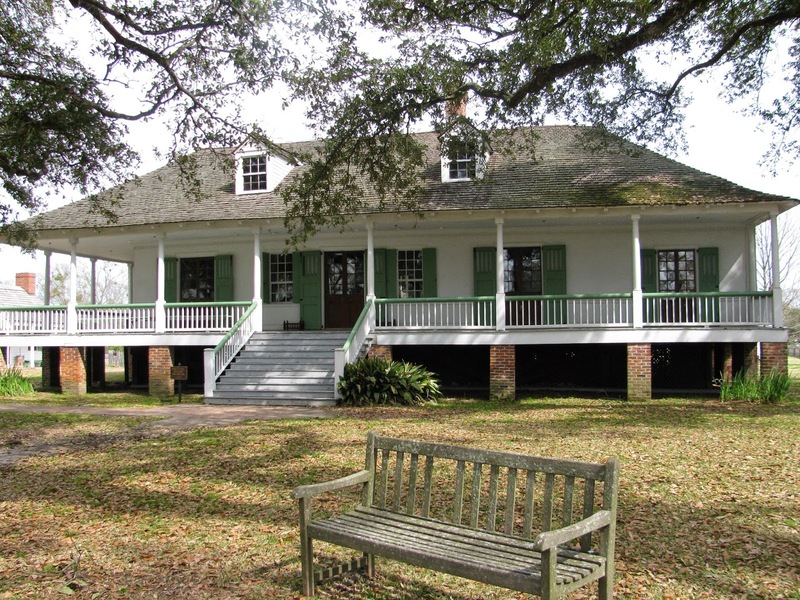 About 30 minutes down river from Baton Rouge is Houmas House, one of the most beautiful plantations in the South, with live oaks more than 450 years old. Sip on a mint julep and wander the 32-acres grounds. Built in the 1820s, the sugar plantation features a three story spiral staircase and 23 rooms decorated in antique furnishings. 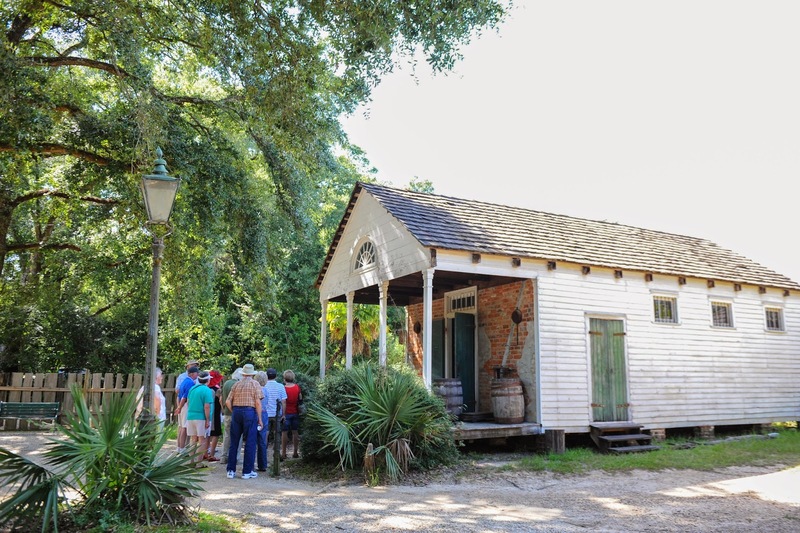 Lively tour guides will show you the spectacular house and share with you details about how the plantation’s family and slaves lived their lives. Enjoy lunch at Café Burnside (served daily) and dinner at Latil’s Landing (served Wednesday-Sunday). Extend your stay and book a cottage at The Inn at Houmas House. About 25 minutes from downtown Baton Rouge is Nottoway, the largest plantation home in the South, and arguably the most beautiful. Tour guides will show you the sugar plantation house, elaborate architecture, and hundreds of antique furnishings. 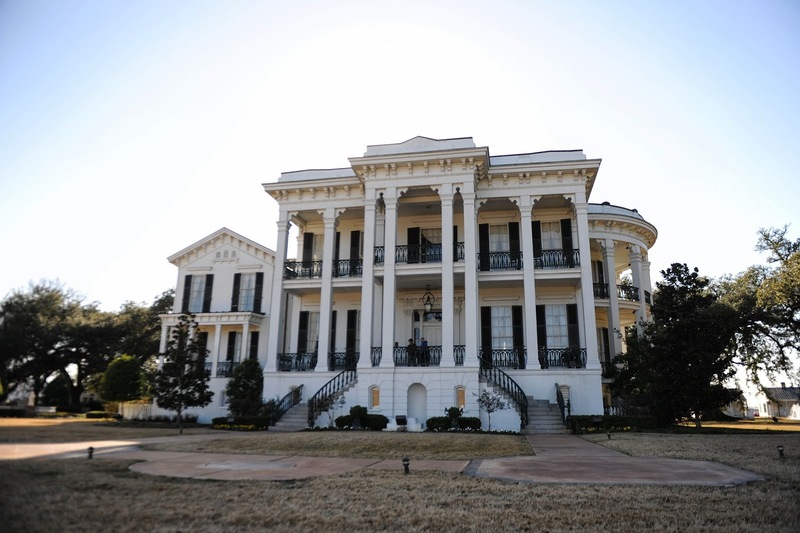 Explore the museum, theater, and cemetery to learn more about Louisiana’s past. Grab a quick lunch of red beans and rice or jambalaya at Le Cafe, and enjoy dinner at The Mansion restaurant. Extend your stay at Nottoway and book a room inside the mansion or cottages. If you would like more ideas for your staycation, check out Visit Baton Rouge&apos;s website, call us at 800-LA-ROUGE or visit us at our office on the corner of Third and Laurel Streets. After your staycation, tell us all about it on social media with #GoBR! So, what are you waiting for?! Go make memories with your family and friends in the city you call "home."